Home / 2014 / January / 23 / Plugged in: Is technology connecting us? Or controlling us? It’s getting increasingly difficult to escape technology. The spread of mobile devices has driven a culture of “connectedness,” where email, social media and Internet are never more than a finger-tap away. As our online networks expand, are we forced to withdraw from some of our ‘real life’ interactions? Hear from UBC experts discussing how modern communications technologies are reshaping our perceptions of reality while affecting our personal and professional relationships, as well as our drive to make a difference in the world. alumni UBC is hosting a free panel discussion “Plugged In: Is technology connecting use? Or controlling us?” on Thursday January 30, 6:30 to 9 p.m., with a reception to follow, at the Coast Capri Hotel, Horizon Room, 1171 Harvey Ave., Kelowna. Or contact Krista Stokell at krista.stokell@ubc.ca , call 250-807-9360 or Skype 250-807-9360. Christopher Schneider, assistant professor of sociology, UBC’s Okanagan campus. 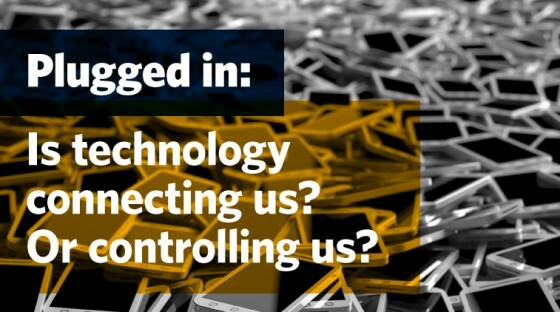 What: Plugged In: Is technology connecting use? Or controlling us? When: Thursday, January 30, 6:30 to 9 p.m., with a reception to follow. Or contact Krista Stokell at krista.stokell@ubc.ca or 250-807-9360 or Skype 250-807-9360.